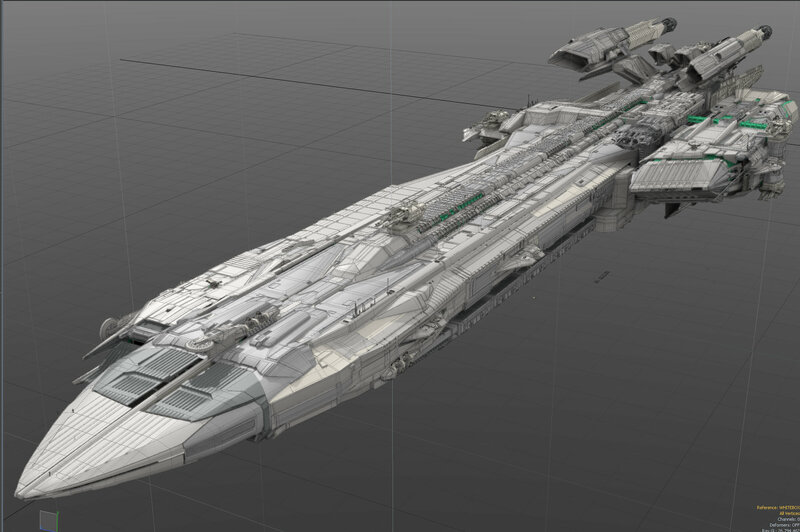 Although I'm doubting that CIG would consider selling this particular ship, if I'm not mistaken, there is another capital ship in the lineup for SQ42 called the Panther / Pegasus. You are all wrong. The new announcement from Aegis is not a new ship, it's a new job in the verse. Bus driver on ArcCorp. In the sneak peak that started this they used the words, "Our sources in Jata have heard rumblings of a possible "big announcement" forthcoming from Aegis Dynamics." For some reason, my gut tells me that the word "rumblings" is the key to this teasing hint. Such as whatever it is, will shake the ground or change things in a noticeable manner. a continuous deep, resonant sound. "the rumbling of wheels in the distance"
an early indication or rumor of dissatisfaction or incipient change. "there are growing rumblings of discontent"
We still have 2 capital ship types that havent had a ship put in them. For stretch goals, i think 4m and 17m but not sure. We are supposed to get a Cruiser and a Battle Cruiser. Personally I'd prefer ships we can own and fly like Corvettes. Sorry guys, this new ship sounds like its not being revealed till August. Will be at a VIP meet & greet gala in Germany. See concierge email below. Gives them 6 weeks to get it in game in time for CitCon next year! It doesn't say August. It says April, 2949, which is just a few weeks form the issuance of the note. I dunno what that means IRL time. How did you get August? From the concierge email sent today. "We want to thank you for your unyielding brand loyalty with a VIP gala event to be held on Saturday, August 24th, 2949 in Frankfurt Germany, located on Earth, within the Sol system." The event is being held in August. Tickets for the event go on sale in April. Likely nothing will be revealed until the event in August. Okay. So is there some connect between game dates and RL dates? This year is 2949? BG noted the graphic on the announcement is of the tails of the Eclipse, so has hypothesized it will be an Aegis carrier. That sounds very reasonable to me since the Polaris, Javelin and Bengal are all RSI and Aegis ought to be after that market. Whelp im going, if you want to meet me in person say hi in August! Yeah I'm not expecting anything new personally. SQ42 goes Alpha in January. August is the perfect time to reveal the Idris + Javelin and have a sale for all the new people who want to throw money at CIG.